Manuel Neuer is a brilliant goalkeeper. The term world class is thrown around with blatant disregard nowadays, but the German colossus is one of the few in the game who can be described as such. Though it causes me physical harm as a Juventus supporter to type this, Neuer is the best in the world at his position (sorry, Gigi). He does it all: shot-stopping, commanding his area, organizing the defense and even launching attacks with his feet. He does it better than anyone else. And yet Neuer should not, under any circumstance, win the Ballon d’Or. Period. End of discussion. The three finalists for the 2014 edition of the award were revealed Monday, with Bayern Munich's No. 1 joining perennial nominees Cristiano Ronaldo and Lionel Messi on the shortlist. Even prior to that announcement, Neuer's bid began picking up steam. Xabi Alonso called him the best goalkeeper he's ever played with. Franck Ribery said he should win the award ahead of the aforementioned La Liga duo. Laudable as it is to support your teammates, Ribery's claim is also ridiculous. A goalkeeper, regardless how wonderful, can only have a limited impact on any match, tournament or season. It’s the nature of the position. It’s not fair. Welcome to life. For a shot-stopper who stands guard between the posts for one of the world’s better teams, that point is amplified. Neuer, for both club and country, is shielded by arguably the very best the game has to offer. Some have pointed to the numbers, which show that the domineering ‘keeper has kept 28 clean sheets in the calendar year. That is almost entirely meaningless. Through 13 Bundesliga matches this season, Bayern has conceded a league-low 6.8 shots per match (it was only slightly higher at 8.9 in 2013). Neuer has been asked to make just 1.77 saves per 90 minutes thus far – the second-lowest total in Germany. Spanning the top five European leagues, that's one of the lowest figures among all qualified goalkeepers. By no fault of his own, this is often the extent of his involvement for Bayern Munich and Germany. 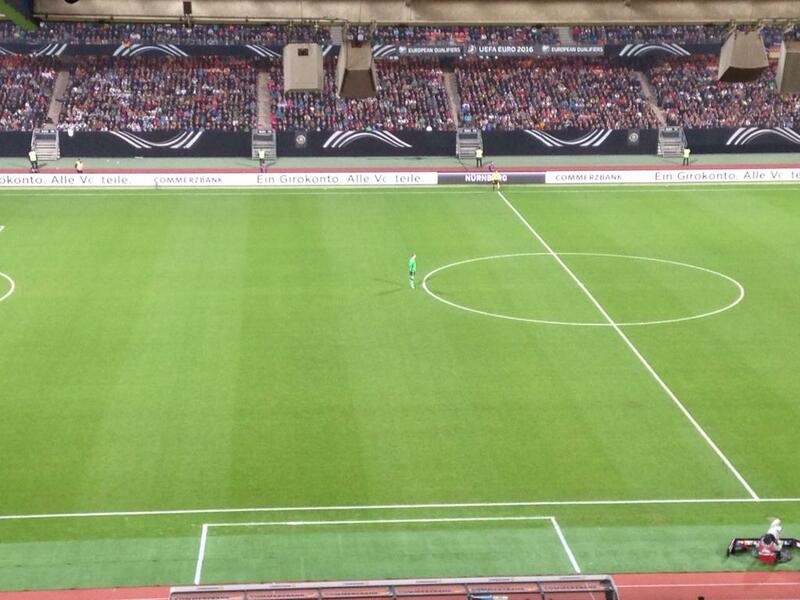 Neuer should be applauded for that ability. But the Ballon d'Or is not the appropriate platform for that recognition. So why the flood of support for the German? Monotony is the likely culprit. By nature, we always clamor for something new. Bored of seeing Ronaldo and Messi waltz away from a glittering stage with another golden ball gripped firmly between their arms, it would be nice if someone else could swoop in and shake things up. This seems like a good time for an important reminder. When Ronaldo and Messi eventually retire – because, sadly, they will one day – they will be discussed in the same breath as Diego Maradona and Pele, with everyone else looking on from a distance. You know what players of that ilk do: they win the Ballon d’Or nearly every damn year. Embrace it. I'm fine with Neuer getting short listed or whatever, but him winning would just be Karl Malone levels of wanting somebody new. In the last calendar year, Ronaldo, the Real Madrid machine, has scored 55 goals in as many matches, setting a new single-season record for Champions League tallies (17) while leading his club to a title in the competition. All he's done to begin the new campaign is score 1.4 goals per 90 minutes (in league and Champions League play). He has 24 goals this season in just 17 contests. On the rare occasion that he doesn't score, which has happened just four times this season, he comes close by virtue of his insane shooting rate. Opposing teams have to fit entire defensive schemes around him. Stopping Ronaldo is always the top priority. Messi, while not boasting quite the same exorbitant scoring numbers – though they are still incredible – falls into the same category. Both men also create scoring opportunities at a frightening rate, with nine assists on the 2014 campaign. Surprise, surprise, they occupy the top two spots in La Liga for key passes per match. Messi's 4.6 (!) key passes per Champions League contest are tops in the competition this season. Neuer, despite his best efforts to influence a match with his feet, cannot accomplish what Ronaldo and Messi can. Again, it’s a product of his position and it’s not fair, but that’s simply the mechanics of the sport. Long story short, don't use the numbers to justify Neuer's claim. You'll lose. As for the claim that the German has reinvented the position with his ball-playing skills, sure, if you conveniently forget that legendary Ajax tactician Rinus Michels used goalkeeper Heinz Stuy to implement his revered Total Football system in the 1970s. If Neuer's actions with the ball at his feet look familiar, that's probably because you've seen Edwin van der Sar in action before. Perhaps, even, during the 1996 European Championship. Is Neuer better than the Dutchman? Yes. Is he really that different, though. French stopper Hugo Lloris is equally adept with his feet. Perhaps he should get some Ballon d'Or votes, too? Sarcasm, of course, but the point stands. No goalkeeper has captured the illustrious honor since Russian legend Lev Yashin in 1963. There's a reason for that. Neuer, despite his brilliance, should not be the first as long as Ronaldo and Messi are around.